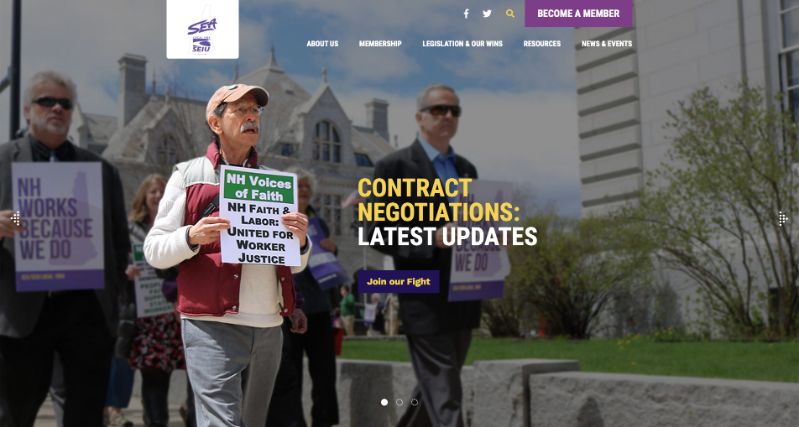 We’re currently making the final preparations to launch a totally redesigned website for SEA/SEIU Local 1984. The new site will be easier to navigate – especially on mobile devices – and will highlight our mission and the work we’re doing in support of that. This has been a massive undertaking, but it’s a worthwhile one that we feel will best serve the needs of the organization for years to come. Watch your inbox for an email announcing the launch in the coming weeks, and we thank you in advance for your patience as we make the transition to the redesigned site. Race day is almost here! The 2019 SEA 5K Road Race and Fitness Walk is Saturday, and you can still sign up online through Friday at noon. Don’t worry if you miss online signups: you can still sign up on race day starting at 8:30 a.m. We will be accepting credit cards. The SEA 5K is a fundraiser for Operation Santa Claus, and if you sign up online, you’ll get your own fundraising page and you’ll have the ability to join your chapter team. This year, chapters will compete not only to see which team is the fastest on race day but also which team can raise the most money for Operation Santa Claus. You don’t need to compete as a runner or walker to help OSC, though: You can make a direct donation at www.pledgereg.com/sea-5k. For everyone else, we’ll see you at the start line on Saturday. The House is set to vote tomorrow on our pension cost-of-living adjustment (COLA) bill, HB 616, and if you haven’t done so yet we need members to contact your representatives and ask for their support of this bill. The last time members of NHRS received a COLA was 2010 – that’s a long time and expenses continue to rise with inflation. As introduced, this bill would grant a 1.5 percent COLA to those who have been retired for 60 months. You can easily send a message using our updated online action form, which you can find here. We’ve given you a message to start with but we highly recommend personalizing it by explaining exactly what this COLA would mean to you. If you’d prefer to call your representatives, you can find their contact information here. Thank you for all the work you’ve done to get the bill this far – let’s keep moving. In an op-ed article in this weekend’s Union Leader, President Rich Gulla writes that Gov. Chris Sununu’s budget proposal failed to address problems facing our members – the people who make New Hampshire work. “When economic indicators point to a roaring economy, it means that now is the time to make investments in the state’s workforce, both in staffing and wages. It is not enough to talk about a booming economy and expect that it will somehow sprinkle everyone with good fortune.”, Gulla writes. You can read the op-ed here. Join us tomorrow to celebrate life of MLK Jr.
On Thursday at noon, SEA/SEIU Local 1984 members will join with labor and faith groups at the Legislative Office Building in Concord to celebrate the life of Dr. Martin Luther King Jr. and his emphasis on the dignity and value of all labor. This should hit home for workers, including state employees, who again find themselves struggling to secure a fair contract. President Rich Gulla will be among the speakers at the event Thursday, which is taking place 51 years to the day from the assassination of Dr. King in Memphis. As you might recall, King was in Tennesee to show solidarity for striking Memphis sanitation workers. We hope you can join us and stand in solidarity. Going forward, we’ll be posting the agenda for each upcoming meeting of the SEA/SEIU Local 1984 Board of Directors on our website on the same page where the Board meeting minutes are located on www.seiu1984.org, as per organizational policies. If you’ve got old prescription pills at home that you need to dispose of, don’t flush them or throw them in the trash. Keep those medicines out of the landfill and water supply by dropping them off on National Prescription Drug Take Back Day on April 27. There are actually two Drug Take Back Days each year: one in April and another in October. You can find more information, including drop sites near you, on the Drug Enforcement Agency website. Unplugged Family Game Night returns Wednesday, April 17 from 5-7 p.m. Bring a snack and your favorite game to share to this family-friendly event.